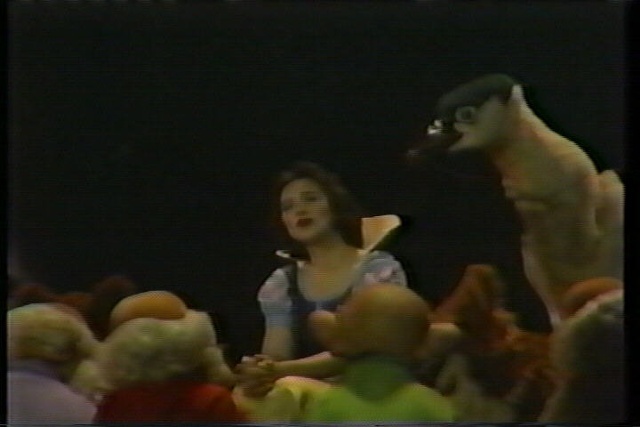 Snow White and the Seven Dwarfs holds a very special place in every Disney fan’s heart, but it is often forgotten that this endearing tale of romance was once a stage production with as much acclaim as today’s Lion King or Beauty and the Beast demands. A nationwide search was put on for a newcomer to play Snow White. 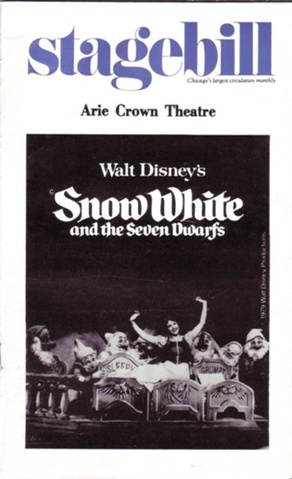 As a smaller production, Snow White was presented to the public at New York’s Little Theater on West 44th Street, New York City, on October 31, 1912. This version of the tale was based on the stories by the Brothers Grimm. It was written under the pseudonym of “Jessie Graham White” who was really producer Winthrop Ames. He did it justice, as the play was met with favorable reviews. If you are interested in obtaining a script for your own school or community production, click HERE and check it out. The official program for the show’s tour stop in Chicago. 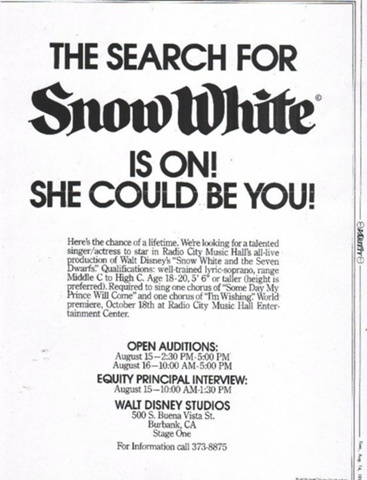 Few people know that the first major stage production of Snow White as a musical debuted in St. Louis, Missouri, in 1969. The show was highly successful, but due to financial constraints and conflicts, it did not make it’s debut in New York until October 18, 1979 at Radio City Music Hall. The original production opened there and closed November 18, 1979 after 38 performances so Radio City could put on their famous Radio City Christmas Spectacular. 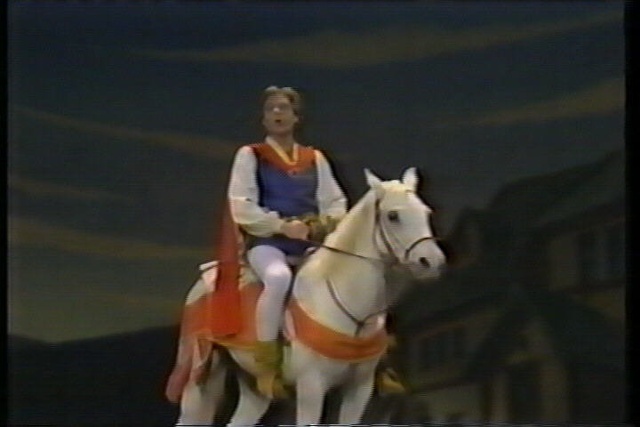 Snow White reopened on January 11, 1980, and closed after 68 performances on March 9, 1980, a total of 106 performances. A video recording of one of the shows was briefly available on VHS and Betamax (remember that?) from Walt Disney Home Video in 1981. The Castle: the pre-show curtain. 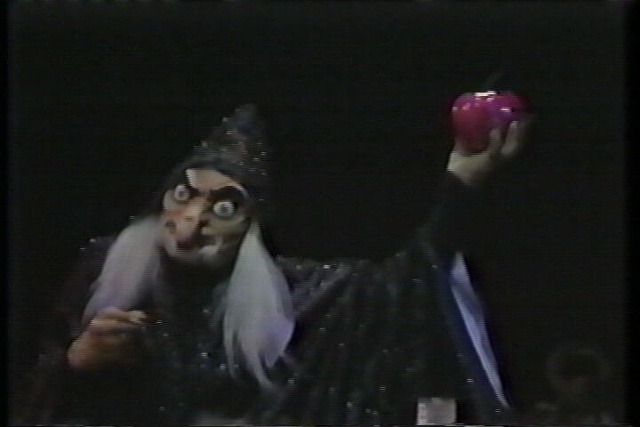 Sources say that the show was directed and choreographed by Frank Wagner, produced by Robert F. Jani, executive musical director Donald Pippin, scenery by John William Keck, costumes by Frank Spencer, lighting by Ken Billington, conducted by Don Smith, orchestrations by Philip J. Lang, Queen’s presentation music arrangement by Ronald Melrose, masks and animal costumes by Joe Stephen, choral arrangements Jay Blackton, Don Pippen, production stage manager Jeff Hamlin, stage manager Neil Miller, and press by Gifford/Wallace, Deborah Morgenthal. The Queen discovers Snow White’s beauty. Would you like to see the revival of this Disney classic return to the stage? Have you seen Snow White on stage before? Share your comments. 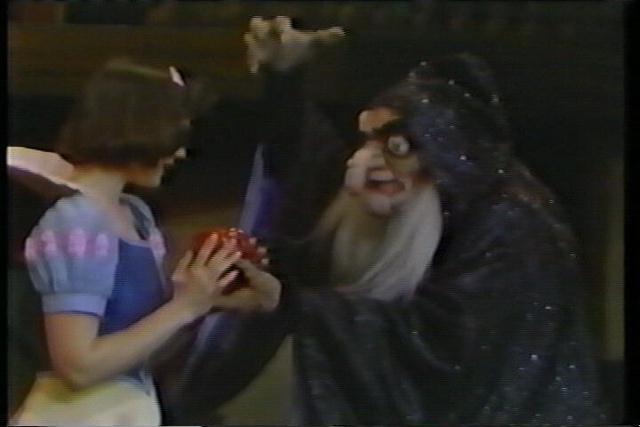 The Crone tempts Snow White with the apple. 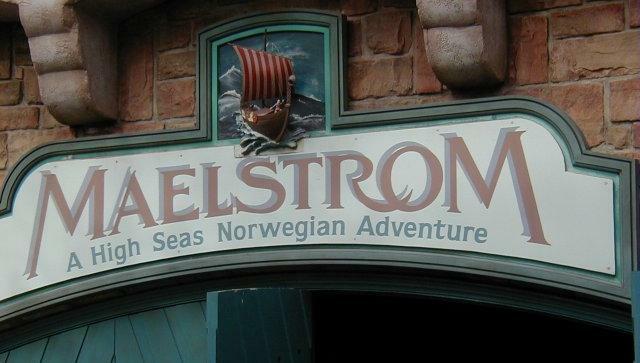 Having visited Walt Disney World and EPCOT several times, one of my favorite attractions is the Maelstrom in Norway. This enchanting boat ride begins by taking visitors back in time to a mythological and idealist version of the days of the Vikings. 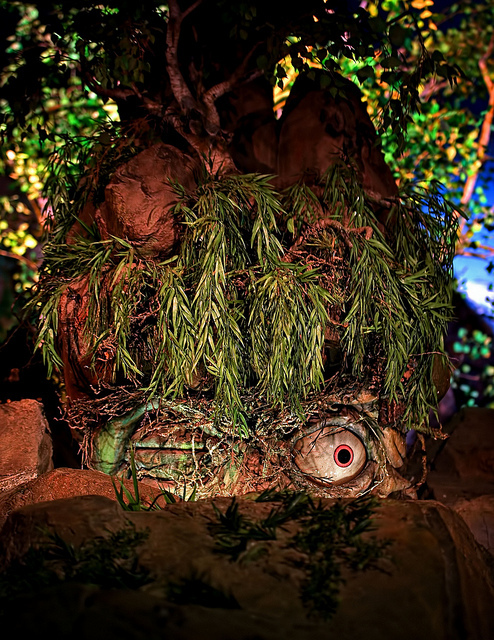 Passing through scenes of the various sailors and Vikings, passengers suddenly find themselves in an enchanted swamp and are confronted by angry trolls. “Disappear! Disappear!” the Trolls yell, and then things really get strange as the boat is turned backwards in the current and sent plunging (still backward) down a waterfall. Passengers catch a look at some polar bears and living trees before coming to a near stop upon the very edge of yet another waterfall. This is especially interesting because it allows a glimpse of the main entrance to the Norway area. I recommend riding this at night just for the effect. The boat then rotates and passengers are reassured and back in a forward facing position, but only for a moment, for the boats plunge into the very stormy North Sea. Passing dangerously close to an oil rig, things then calm down and the ride ends in a calm and peaceful harbor town where passengers disembark from the boats at the dock. There is then an option to watch a 6 minute film that highlights the history and rich folklore of Norway. 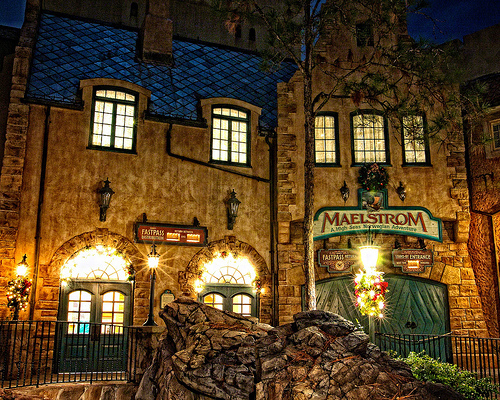 The next time you visit EPCOT and the Maelstrom, be sure to look for Hidden Mickeys on the attraction. 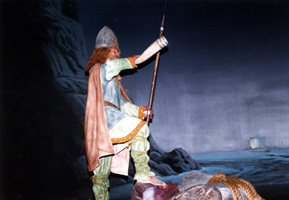 In the ride’s loading area, the enormous mural includes many people and elements from Norway’s history. Hidden in this painting is a Viking whose helmet has Mickey Mouse ears, and another figure wearing a Mickey Mouse watch. 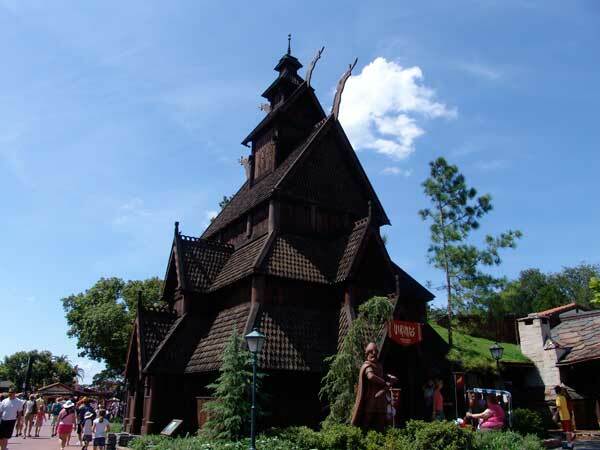 Inside the stave church, King Olaf II has a small Mickey embroidered on his tunic, near his right thigh. 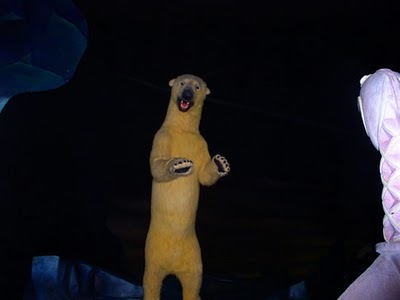 During the development of this attraction, the representatives from Norway’s sponsors made it clear that it was not to be a troll-centric concept. That is to say, they wanted all aspects of Norway to be represented, not just the troll rich folklore, for Disney’s Imagineers wanted it to be focused more on the trolls initially. Any Disney fan can tell you that there is always one individual who groans, rolls their eyes, or generates an insulting comment when another trip to Disney is announced. While not always a family member (although they do exist), these people just do not “get it”. “What is this mysterious draw to Disney?” they ask you. Disney is not just a place. It is not simply a tourism destination, although it is a fine specimen of that. No, Disney is a state of mind. 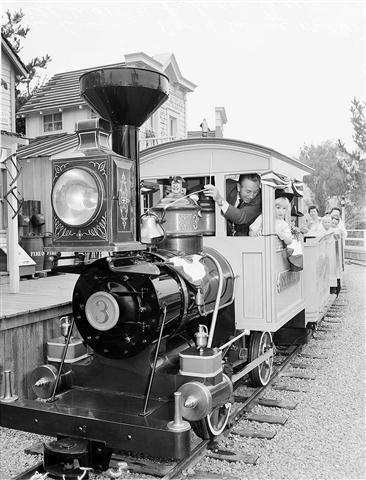 Walt Disney hit the proverbial nail on the head when he created a place where families could spend quality time together. He also took precautions to protect his ideals within the Disney Company, and included standards that still remain to this day. No visible tattoos or body piercings will you see on any Disney park employee that works among the guests. It was big news in the late 1990’s when Walt Disney World actually changed the “no beard” clause for their employees, but even now they must remain well trimmed and of a certain short length for those Cast Members working among the guests. Walt created a clean and inspirational environment for his guests, and the “Disney difference” is noticeable. He took one step further and even empowered each Cast Member to be able to make decisions to improve guest experiences. Cast Members usually list this empowerment as one of their favorite reasons to work for the Disney Company. You see, you can not make a decision as an employee for most companies, but if you work for Disney, you can. As a Cast Member, I once had a family of guests shopping near me in an area of Downtown Disney. The youngest family member, a boy under age 10, dropped ice cream all over his brand new Mickey Mouse shirt. He was crying and his mother was trying in vain to get the chocolate stains off. I was able to dash over to where I knew the shirts were and grab one, then gave it to the boy’s mother. She was stunned, and I just grinned and told her there was no crying at Disney. They were so grateful that they stopped by Guest Services that day and left me a comment card to thank me. Empowerment is something that lacks in customer service these days, so it is no wonder that this is one of the things that contributes to the Disney draw. 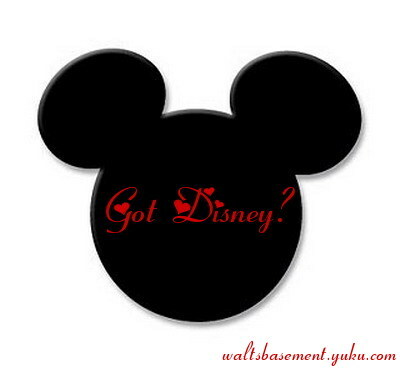 As I stated previously, Disney is a state of mind. I have met some amazing and wonderful people who are Disney fans. These people share traits of generosity and selflessness that do not compare to most of the people I know that do not “get it”, I am sad to say. Two of my dearest friends are serious Disney pin traders. They travel to Disneyland every chance they get and have a specific location that they enjoy trading pins with people in the park. I have seen them give pins away to children that they do not know, simply for the joy of doing it. There are few things in life that are better than seeing a child smile with pure happiness. 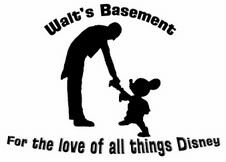 On Walt’s Basement Disney Forum, there are people who work tirelessly to mail Disney goodies, post cards, collectibles, and more to their Forum members who post often. Anyone can join the Forum; it is just expected that as a Disney fan they will want to participate and “pass the magic forward” any way they can. It is truly a magical place on the web, and again, it is filled with those selfless Disney fans who “get it”. I am proud to be the Founder of that web site, and even more proud to have been a party to the magic that happens there each and every day. Disney is not simply a place to go and ride attractions. Yes, we love them and no others compare to Disney attractions, but that is not what keeps us coming back time and time again. It is the youthful and innocent family centered spirit that contributes to the Disney draw, and once you “get it”, there is just no going back. That, my friends, is a very good thing. Don’t you agree? Leave a comment if you know someone who doesn’t “get it” in your circle. You have my support- and I bet I am not alone! Do you remember the first time you ever saw Cinderella’s Castle or Sleeping Beauty’s Castle? I will never forget the first time I saw the Castle at Walt Disney World. I was 12 years old on a journey far from home with my cousin who insisted that I would not have a proper life unless I started out by visiting Walt Disney World. Little did I know then how much of an impact Walt Disney World would have on my own life. Walking down Main Street USA for the very first time was an experience that I will never forget. The sights and smells, echoing laughter, and smiles on everyone’s face are imprinted in my memory forever. 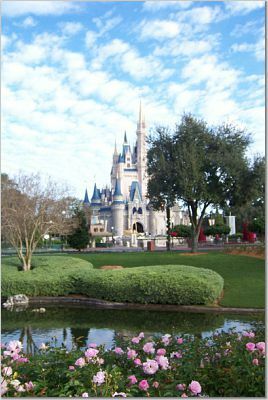 It is a very true statement that when I visit Walt Disney World even to this day I am delighted to see the Cinderella’s Castle at the end of Main Street, for it is a vision to behold and represents so much for so many, including the fact that dreams really do come true. Not only is Cinderella’s Castle an iconic fortress, but it’s romantic beauty does indeed represent the Walt Disney company itself. From viewing the 14 karat gold tiles in the Cinderella Castle mosaic to dining like royalty inside the restaurant Cinderella’s Royal table, Cinderella Castle holds something dear for every visitor to the Walt Disney World resort. One of my families favorite memories includes one of Cinderella’s mice taking my husband’s hat off and playing with it while we were dining at Cinderella’s Royal table. Another favorite memory that occurred in the same eatery is that of my honeymoon. I will never forget being seated next to the window inside Cinderella’s Castle while watching the Wishes fireworks spectacular going on outside, sharing a very special moment with my new husband. I have a unique perspective of Cinderella Castle however, since I actually was Cinderella for two years while employed with the Walt Disney company. Although I will not give up any trade secrets, I can tell you that the experience changed my life. Portraying a Disney character day after day is more challenging than you think. I never allowed reality to enter my mind while I was on Disney’s clock. Allowing this to occur would have had devastating consequences. There is no way I would have ever let down a child or allowed a child to view Cinderella as anything but the actual Cinderella. Inspiring scores of children to believe in their dreams was my number one goal, and I achieved that. Regardless if you are East Coast Disney or West Coast Disney, your perspective of your respective Castle matters. So which Castle is it for you and what does it represent?